Note: YELP removed this review in February 2016, after it had been one of the featured reviews since 6/25/2015, almost 8 months later (and after MedicareQuick stopped Advertising in late December 2015). This San Diego Medicare Insurance broker Review by Jim L of MedicareQuick was added by Jim L on 6/25/2015. As of this writing, the review is still up, but because of the way YELP works, we aren't sure if it will stay up forever. For several months, Jim's review always appeared first, even when other YELPERs added reviews, and they had more friends or written reviews than he did. I understand that YELP has a secret algorithm, and I still can't figure out why some reviews are listed first, some are listed last, and some are removed entirely. Whenever we get a San Diego Medicare Insurance Broker review, we are very pleased. It means that someone took the time to write about the service that they received. Of course I remember Jim L, and he was very easy to work with. I enjoyed working with him, and check in with him often to see how he's doing, as I try to do with all of my clients. He's also referred several of his friends to me, and of course we always like to work with our client's referrals. Referrals are the life blood of MedicareQuick. Below is the text of his San Diego Medicare Insurance Broker review, and below that is the actor rendition of his review. 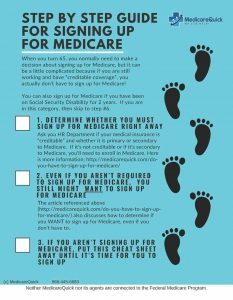 We at MedicareQuick hope that you enjoy it. It's one of our favorite actor renditioned reviews (we'll be posting more over the next few weeks). Kathe is, in a word, FANTASTIC! Even in the midst of coming to grips with the fact that I was turning 65 (aargh, still hard to believe! ), Kathe was a wonderful navigator through the complex, turbulent waters of Medicare, which I SO appreciate! I would highly recommend Kathe to anyone who needs help getting on Medicare.